Runs every Tuesday from 8 to late and brings local and international music talent to STUDIO2. Call 0151 707 3727 to check on who’s on in the next show. 2012 guests include ED KAINYEK, ASA MURPHY, BENN CLATWORTHY, MARIA DUNSMORE, STEVE MACFARLANE, JACKIE LOMAX, ANDRE CANNIERE, ROB STRINGER, SNARKY PUPPY, SUEYO, GENIVIEVE LAMB, etc. 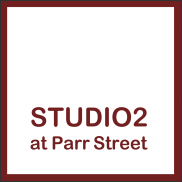 There are 2 award winning tenant run bars within Parr Street Studios. 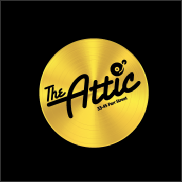 The newest is the fantastically laid back and relaxed “The Attic” - the exciting recreation of a bigger 3345 re-opening in March 2012. Studio2 is a unique bar, night club, live music venue situated in the heart of Liverpool, sitting at the top end of Parr Street which is also home to the Attic (formally 3345), Mello Mello and the Brink. When entering Studio2 you get the feeling you are entering a very cosy Swiss chalet with its beautiful pine walls and its classy real leather sofas, but don’t be fooled into thinking its just a joint for chilling out with a cheeky cappuccino, oh no because if you look closer you will realise you have entered Liverpool’s legendary music recording studio, steeped in music history which has been the recording home of some the worlds finest musical artists. Bands such as Coldplay, Black Sabbath, Bjork, The Smiths, Take That, Moby, Lightning Seeds, and Snow Patrol to name but a few have soaked the walls in musical talent which gives this bar its unique feel. As you would expect you will find a host of musical events on at Studio2, ranging from the popular Parr Jazz evenings each Tuesday which features some of the most finest Jazz musicians from around the globe and the very best local talent all queuing up for the very entertaining jam session, weekend DJ’s, an eclectic mix of bands on throughout the month from the very hip soul to soul night each month. Not only can you come here and hear some raw talent you can even hire the space for yourself for that special birthday party or corporate event, and because the bar area is situated in the original control room you can chill out and chat away from the hussle and bussle of the main room. The bar boasts a fantastic selection of beers from around the world, a good selection of wines, spirits and cider to suit served by our efficient and friendly team.